Featuring an ultra-compact design, this power adapter offers fast, efficient charging at home, in the office or on the go. It works with any Apple Watch, iPhone or iPod model. Starting January 1st, 2018, consumers in UAE are expected to pay a 5% VAT when purchasing most goods and services. This VAT is included in the price. 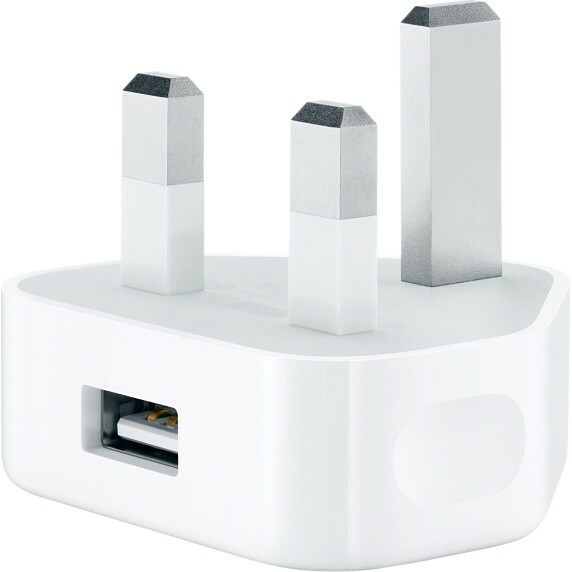 This USB Power Adapter has fixed prongs for use in the United Kingdom, Ireland, Hong Kong, Singapore and Malaysia.